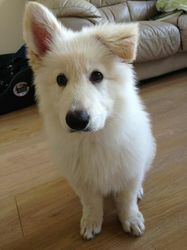 German shepherd male and female house trained, vaccinated, chipped good with kids and other dogs. Excellent temperament. Love's lots of love and long g wslks. fully vaccinated wormed and flead health checked microchip 5weeks free insurance and food toys and blanket.